Not too long ago Kasane was a remote and forgettable small village. However, its strategic location along the main tourist routes (meeting point of four countries - Botswana, Zambia, Zimbabwe and Namibia) has led to rapid expansion in recent years. 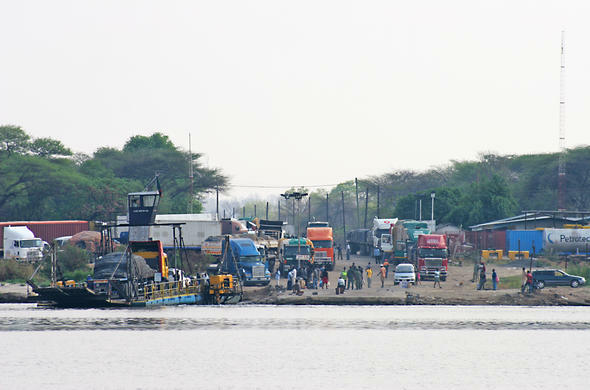 Six kilometres east of Kasane is tiny Kazungula, which serves as the border post between Botswana and Zimbabwe and the landing for the Kazungula Ferry between Botswana and Zambia. Situated on the Chobe River in the northeast, Kasane is a bustling little town offering trouble-free access to the Chobe National Park. As there are no boundary fences between the park and the village, game such as Elephant and Hippo can frequently be seen wandering down the road and through the Kasane campsites. 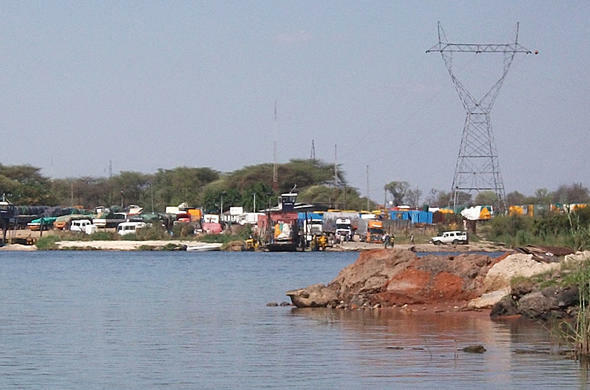 Kasane is the administrative centre of the Chobe District and the northern entrance to the Chobe National Park. Kasane also boasts an old and dignified Baobab Tree with its own story to tell. In the early twentieth century the hollowed out centre of the tree trunk served as the local prison for many years before the current brick structure behind it was built. A short drive out of Kasane takes you to a bend in the Chobe River near the Kasane Rapids. Kasane is also popular as a fishing safari destination. A wide variety of fish species can be found in the waterways off Kasane including tigerfish and bream. The Sedudu Island on the Chobe River is also a favorite site for game viewing and bird watching. See Kasane accommodation. Kasane lies close to the place where the borders of Botswana, Namibia, Zambia and Zimbabwe meet. Kasane is a good place to start trips into the Chobe National Park.